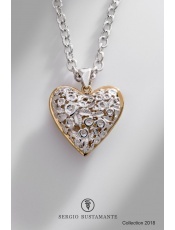 Alexandria Heart Pendant-Gold #724134. 1.25" wide at top and 1.5" high w/bale. 22k gold and sterling silver.